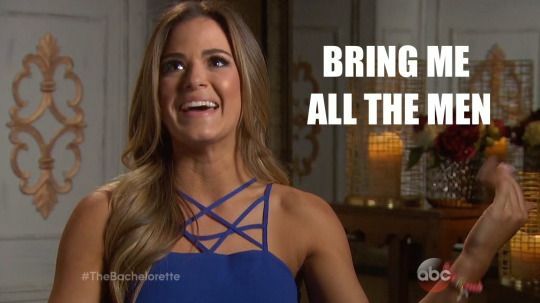 Oh man, rose lovers — remember when we thought Caila was going to be Bachelorette? Me either. So welcome to JoJo’s “journey”! She had, like, 15 or 20 minutes to get over Ben’s brutal brush-off and now she’s ready to love again. Just look how ready she is! Oh, crap. Wrong one, sorry. Take 2: LOOK HOW READY SHE IS, GUYS. And we’re back at Casa Bachelorette! JoJo arrives in a floral romper situation, and look who’s here to meet her — kissy, weepy, and bitchy! 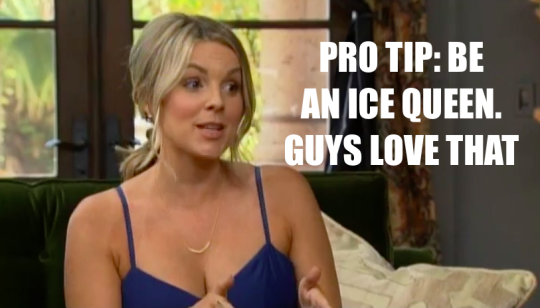 Former Bachelorettes Kaitlyn, Desiree and Ali have been called in for that first-hour filler “advice” segment that we all wish would just die already. Great talk, “ladies.” And with that, JoJo is ready: “I could be meeting the person I could potentially spend the rest of my life with!” Man, that’s a lot of qualifiers. But never mind that — let’s meet the guys Team Bachelorette have deemed intro-package worthy.